As a part of the Mars 2117 plan by the UAE, Dubai has a fake Martian city under construction that will help us all prepare for Mars colonization. Dubai is building a city dedicated to Mars here on Earth which will simulate life on the Red Planet to prepare for its colonization. Dubai, the glittering city at the heart of the desert, is the land of excess, accustomed to record-breaking, breathtaking construction projects. 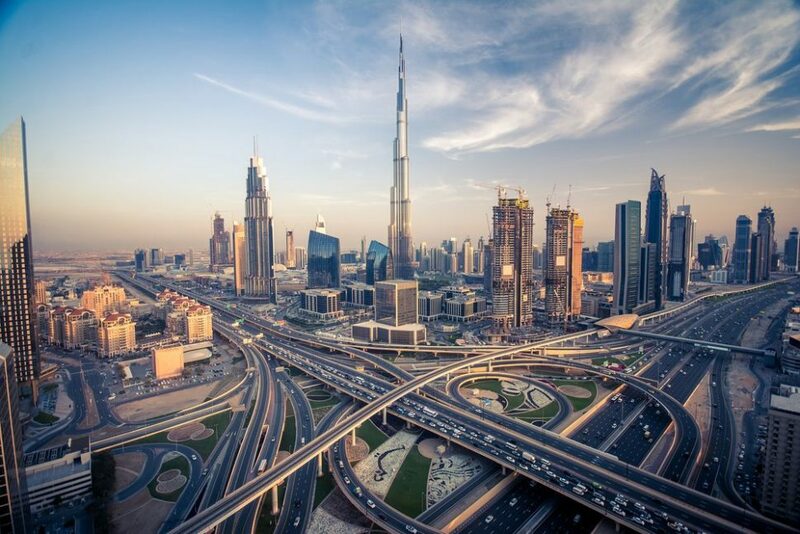 Launched in 2014, “The Smart Dubai” initiative envisions making Dubai the smartest and happiest city in the world. They’re already testing autonomous flying taxis. From that vision, the Dubai South, or The City of You project was born. In theory, this is a place where residents and visitors can enjoy life and be as close as possible to the ultimate happiness. If the emerging “City of You” is “happiness” condensed in 145 sq. km, there’s another city not far at the planning stages. But this time, it’s a city of another kind, thought of as a homage to Mars in particular, and space exploration in general. But let’s first see the actual Martian city that the UAE would one day build on Mars. Mars continues to arouse all kinds of desires, and not only from Elon Musk. The United Arab Emirates also has its own plans for Red Planet. Last February, Mohammed bin Rashid Al Maktoum, Vice President of the UAE and Ruler of Dubai, revealed the UAE’s plans of building a Chicago-sized, functional city on Mars by 2117. The 100-year plan will involve international partnerships and collaboration to find efficient and faster ways to transport people to Mars and establish a viable colony. The Mars 2117 project will rely on the passion and innovation of younger generations who will take over where things are left by the current generation. To inspire young people (since it is they who will work on this project over the coming years, and prepare for real Mars colonization) a “mockup” Martian city is being planned. Will a self-built monolith inspire future generations? Yet, if there’s a whole century until the Martian metropolis is built, a tighter schedule has been set for building the fake “Martian city” here on Earth. The plan was unveiled on Tuesday, Sept. 26th at an annual meeting of the UAE government. Called “Mars Science City”, it will cover an area of 18 hectares (1.9 million square feet) and will cost $500 million AED, about $140 million USD. It’s known that Dubai likes to do things big. No wonder then that the UAE government has entrusted the design of Mars Science City to “BIG”. Based in New York and Copenhagen, BIG (or the Bjarke Ingels Group) is a studio gathering some of the most forward-thinking architects in the world with a number of fascinating projects under their belt. The United Arab Emirates had already revealed its aspirations for Mars in 2015 with its plan to send a probe. The unmanned spacecraft, named Hope, is set to arrive at Mars by 2021. When will you visit Mars Science City?